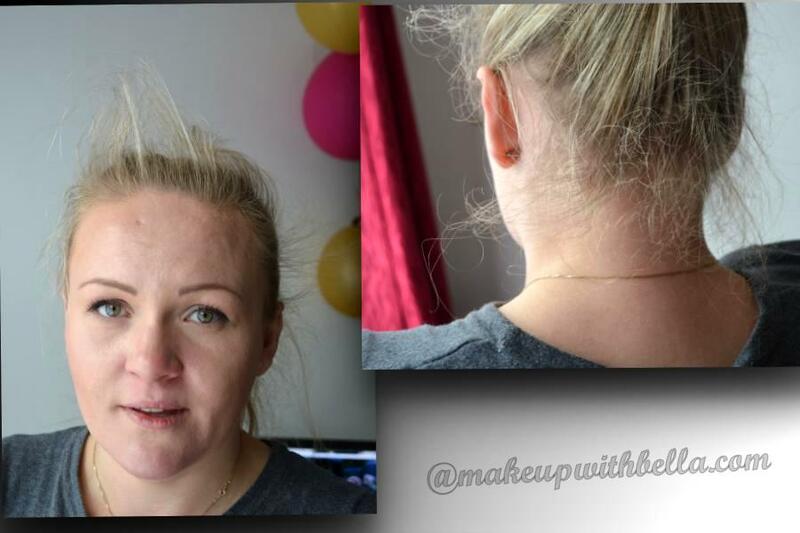 Makeup with Bella: My way to improve the condition of hair - oiling! 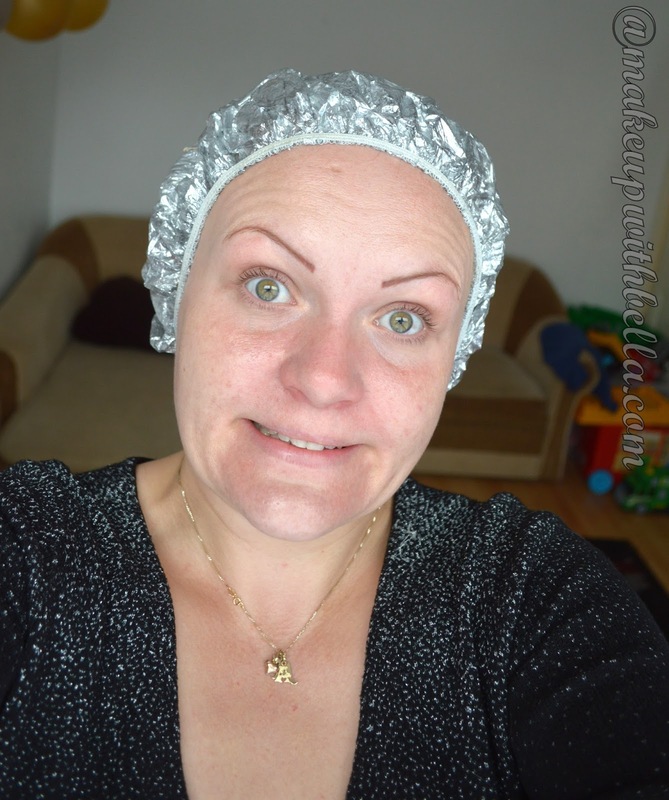 My way to improve the condition of hair - oiling! I use mustard oil on the hair for four months now and I think it's a good moment to share with you the effects of oiling the hair. Oil mustard is made from mustard seeds, which owes its intense yellow color and a distinctive, strong odor. In India, Bangladesh and Pakistan, it is used for cooking. This natural product contains valuable minerals - selenium, zinc, magnesium, iron, calcium, beta-carotene and omega-3. It is also a source of B vitamins as well as vitamins A, C, E and K.
I've been applying mustard oil to the hair two or three times a week. Before procedure, we need to moist the hair and scalp. But remember don't soak it, hair has to be damp only. Thereby the oil will have a better effect. For oiling long hair (like mine) I use two tablespoons of it. 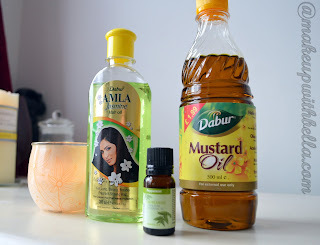 But since I notice that my hair changed the color on a slightly ginger, I've started use this mustard oil on the scalp only and the second tablespoon apply for the length of hair and I've chosen the jasmine oil for that. So, if you're blondes and want to keep this color don't use this mustard oil on the whole hair. Ok, the next step is the application of oil and massaging it into the scalp for about 5-10 minutes, and during this operation we may feel a mild tingling and warmth on the head. This means that the oil supports the microcirculation of the scalp, which accelerates the growth of hair and has a positive effect on hair follicles. Then we put a cap on the head (or cling film and towel), which notably keeps the heat and we wear it on the head for about two hours. After this time, carefully wash the head twice. At the second wash hold the shampoo longer than usual to make sure that all the oil is washed off, otherwise, we will have greasy hair after drying. And here's the notice: for oils washing is the best to use shampoos without SSL and SLES!!! Why? Because shampoos with sulfates SLS and SLES effectively wash the hair and produce a lot of foam, but they can irritate the skin and rinse hair keratin. Then our hair is tangled, difficult to subdue and dried out!!! Examples of shampoos without these components are the series of Dr Organic shampoos or some shampoos for children. Then wash the head, apply some conditioner or mask and rinse it all ( when we have more time, keep it for 20- 30 minutes). 1. Has my hair been growing faster? As you can see on the picture although undercuts the hair ends in August it has grown quite fast, I think. 3. Hair has gained gloss and healthier look. On the left: before oiling, on the right after oiling for four months. - price between £ 2.00- £ 7.00. - outgrowing new hair and preventing them from excessive hair loss. - Not each of us can fall in love with the smell of mustard, although if you like mint you can add a few drops of this fragrance. 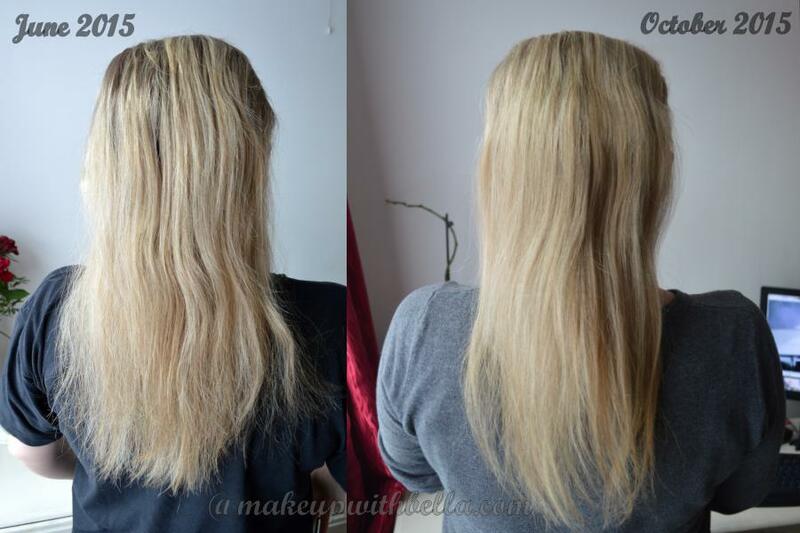 Dear ladies, I strongly encourage you to oiling the hair and it would definitely repay you. I use mustard oil, but you can use other oils, for example coconut, almond or castor oil. You can, even should try some of them and check which of them your hair will "like". And remember : REGULARITY AND BEING SYSTEMATIC is the key to see the great and expected results!!!! Greetings to all my readers and big thank you for visiting my site. 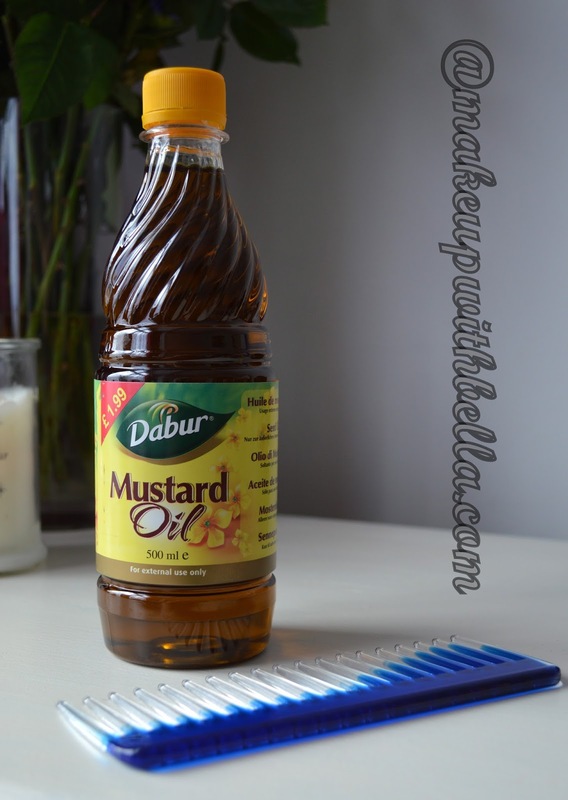 I am also looking for your comments and opinions regarding oiling, I'm curious if any of you had used mustard oil at home and noticed similar effects. * All my opinions are based on my personal experience and are not sponsored. My #7autumnlipsticks in one place!